At a time in our post-9/11 world when fundamentalist forces appear to dominate Islam, a vibrant and consequential discourse has emerged from many prominent writers seeking to change the direction of Muslim thought. This timely volume, representing a broad cross-section of this reformist trend in countries ranging from Malaysia to Algeria and Morocco, brings together the writings of thirteen of the most renowned and influential Muslim thinkers alive today. Individually and collectively, they argue for reforms in Islamic theology and jurisprudence and for reinterpretations of popular notions of Islam that are consistent with and supportive of the tenets of modern life. 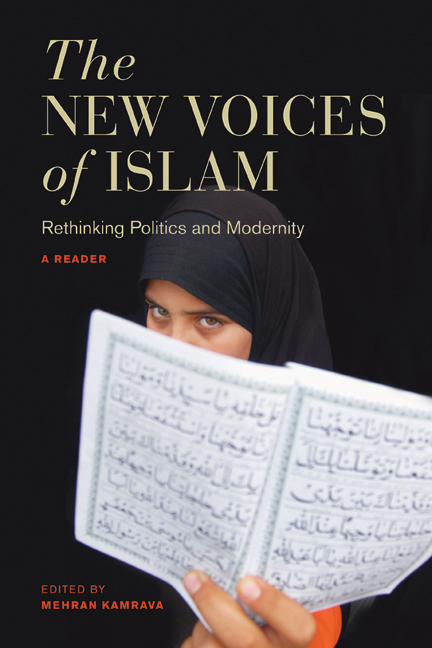 Their essays include broad overviews of Islam, its core principles, and the complex relationship between Islam, democracy, and civil rights; three works by Muslim feminist intellectuals; and more. The volume also places the life, career, and arguments of each thinker in national and historical context. Dr. Mehran Kamrava is Director of the Center for International and Regional Studies at Georgetown University's School of Foreign Service in Qatar and Professor of Political Science at California State University, Northridge. He received his PhD in Social and Political Sciences from the University of Cambridge. His specialties include political development, comparative politics, and Middle Eastern Studies. In addition to a number of journal articles, he is the author of Revolution in Iran: The Roots of Turmoil (1990), The Political History of Modern Iran: From Tribalism to Theocracy (1992), Revolutionary Politics (1992), Politics and Society in the Third World (1993), Understanding Comparative Politics: A Framework for Analysis (1996), Democracy in the Balance: Culture and Society in the Middle East (1998), Cultural Politics in the Third World (1999), Politics and Society in the Developing World, 2nd ed. (2000), The Modern Middle East: A Political History since the First World War (2005), and Iran's Intellectual Revolution (2008). He has also edited The New Voices of Islam: Rethinking Politics and Modernity (2006) and is the co-editor of the two-volume work Iran Today: Life in the Islamic Republic.